Home Entertainment Celebrities Fariha Pervez Says Goodbye to Pop-Music: Turns Religious! Fariha Pervez Says Goodbye to Pop-Music: Turns Religious! Pop – Music singer, Fariha Pervez has recently decided to end her career in pop-music after a spiritual awakening as per reports by Daily Pakistan Global. The Singer has been avidly sharing hijab-clad photos on her Instagram account! Fariha Pervez is Leaving Showbiz for a Shocking Reason! 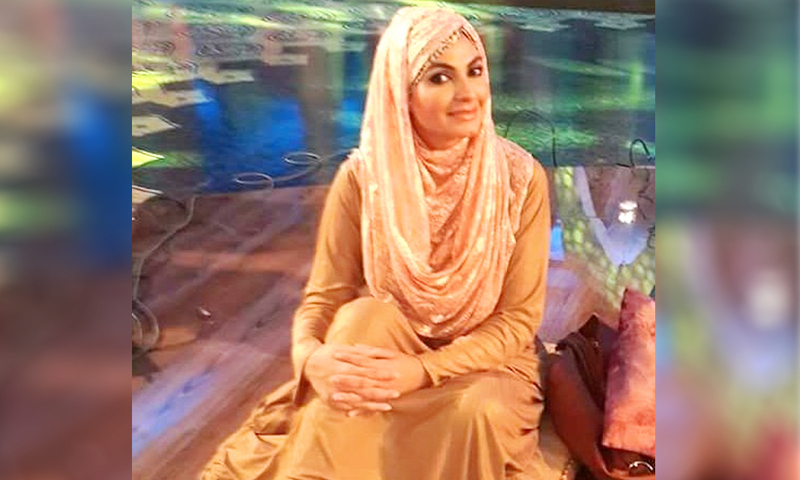 After returning from the United States, the diva was seen back in Pakistan adorning Islamic attire where she stated that she would only sing Sufi songs due to her change in religious beliefs. Seems like Pervez has turned over a new leaf as per the activity on her social media account. Here she’s seen adorning a beautiful Abaya! Ms. Pervez further added that she would is not accepting any offers for singing or performing for any commercial Lollywood movies and will pursue a career in Sufi singing. The versatile singer is known for her melodious renditions of popular Ghazals and her performance in veteran children’s drama, ‘Ainak Wala Jin’. She shot to fame after her superhit debut music album, ‘Nice & Naughty’. Her latest album, ‘Abhi Abhi’ released back in 2010. Bullah ki jana mai kon ! Previously other famous personalities like the Late religious scholar Junaid Jamshed, Nargis and Veena have all left their showbiz during the peak of their careers in order to follow the spiritual path. What do you think of Fariha Pervez’s new awakening? Let us know in the comments below. Ayyan Ali Bids Farewell to Pakistan? Next articleMussarat Misbah Takes A Stand Against Toxic Pakistani Fairness Brands!